MEDITATION AS A WAY OF LIFE in the News! 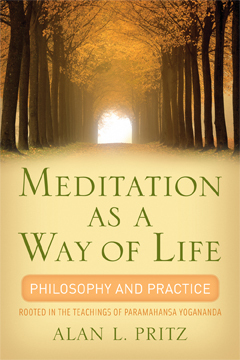 The book launch event for Meditation as a Way of Life: Philosophy and Practice Rooted in the Teachings of Paramahansa Yogananda by Alan L. Pritz is happening at Magers & QuinnTONIGHT at 7, so please come if you can and help us spread the word. Also, be sure to give a listen to a recent Web Talk Radio interview with Mary Treacy O’Keefe on the Hope, Healing and WellBeing show, where Pritz discusses his book and the spiritual essence of meditation. You can read more about the book on the Pear Design blog, where Pritz takes part in the “One Question” series.